Brandon graduated from the DPT class of 2018 at MGH Institute of Health Professions, with his undergraduate studies in Business Marketing and Entrepreneurship from UMass Lowell in 2010. 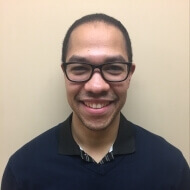 While studying for his DPT, Brandon has had clinical experiences which involved outpatient orthopedics, Neurological treatment of Parkinson’s Disease in individual and group settings, and the treatment of chronic pain in both individual and group settings. Through his experiences, Brandon has grown an appreciation for treating with an aim to restore function towards the patient’s goals on an individual basis using manual therapy, strength and mobility restoration, and patient education. He is also interested in understanding how pain is perceived and treated with a conservative approach. Outside of the clinic, Brandon likes to spend time was his family, play music, teach and compete in martial arts.